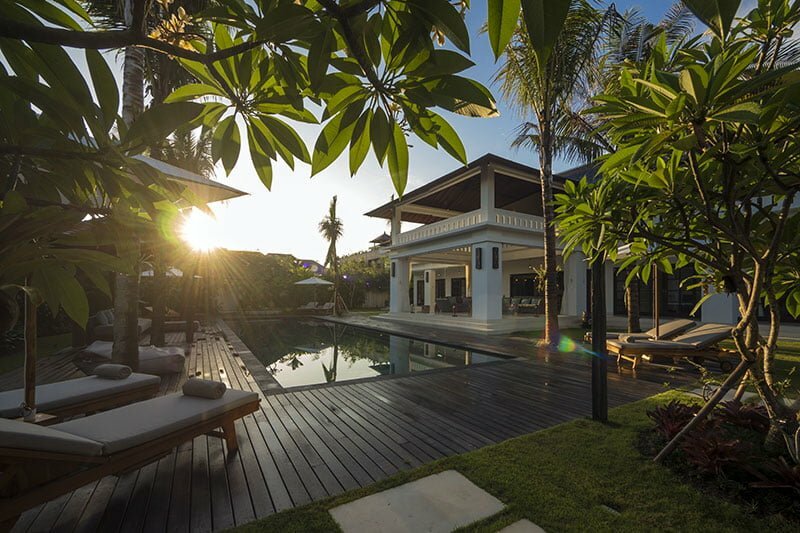 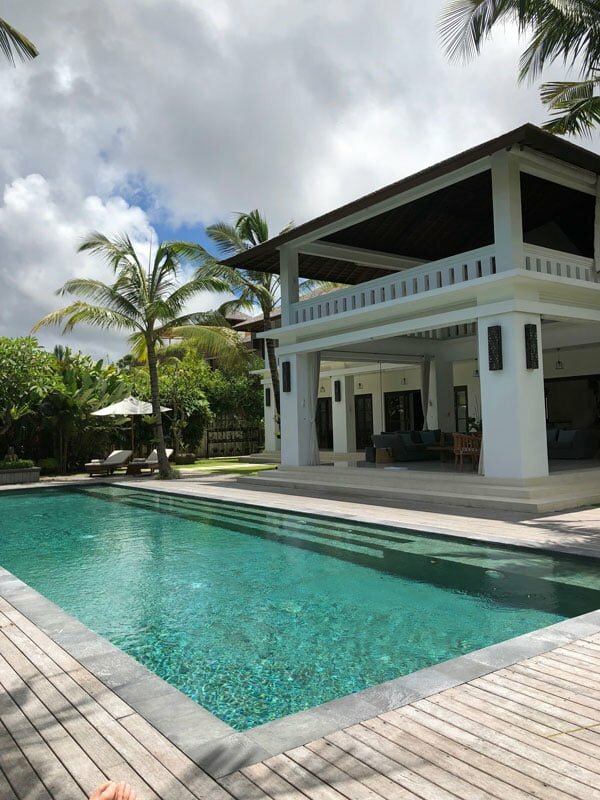 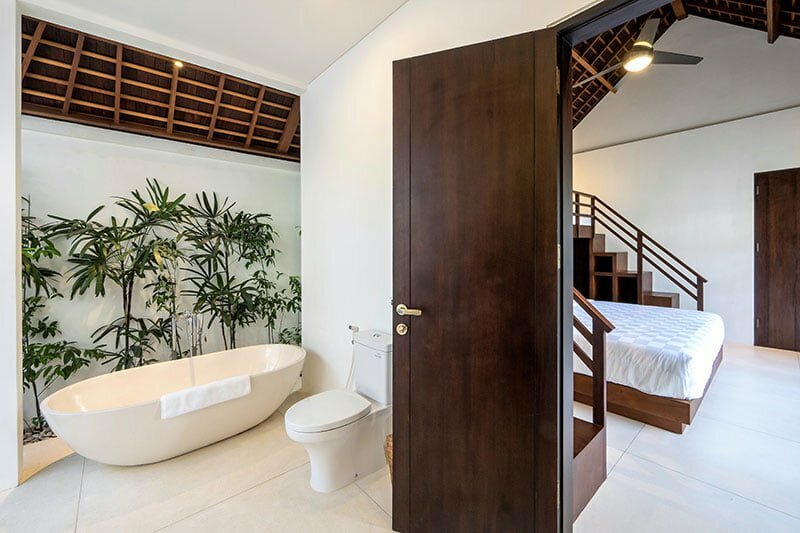 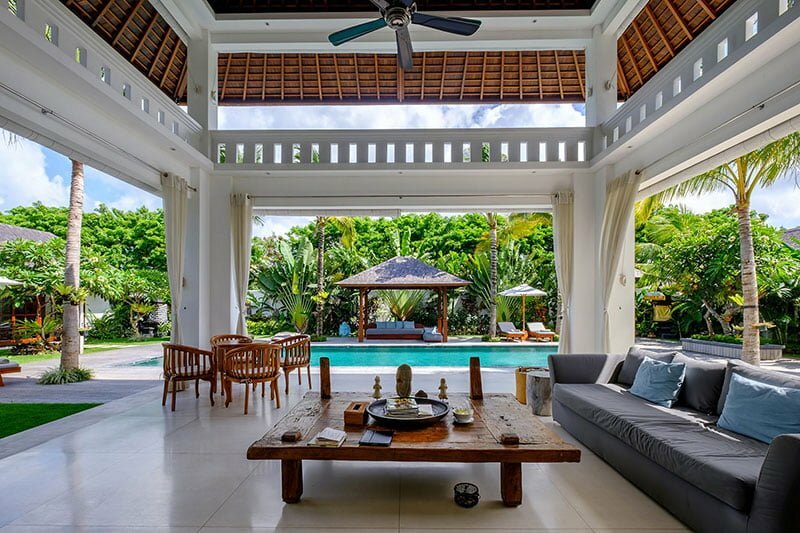 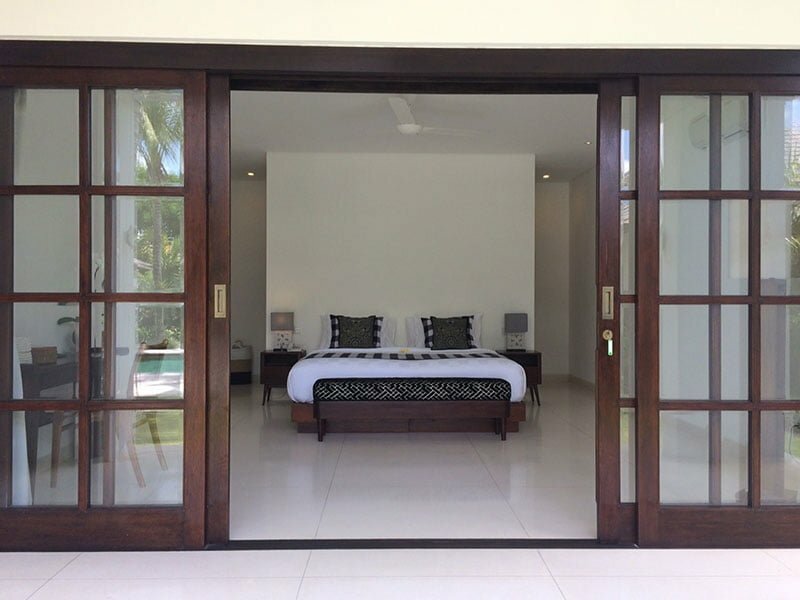 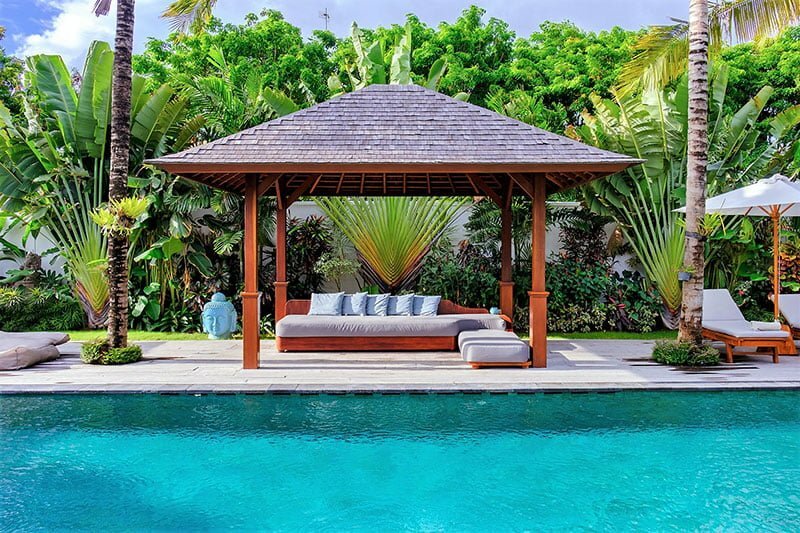 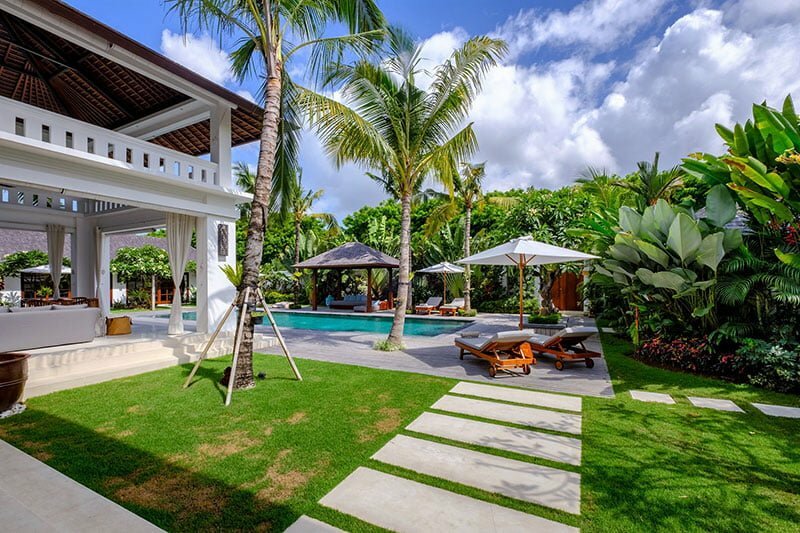 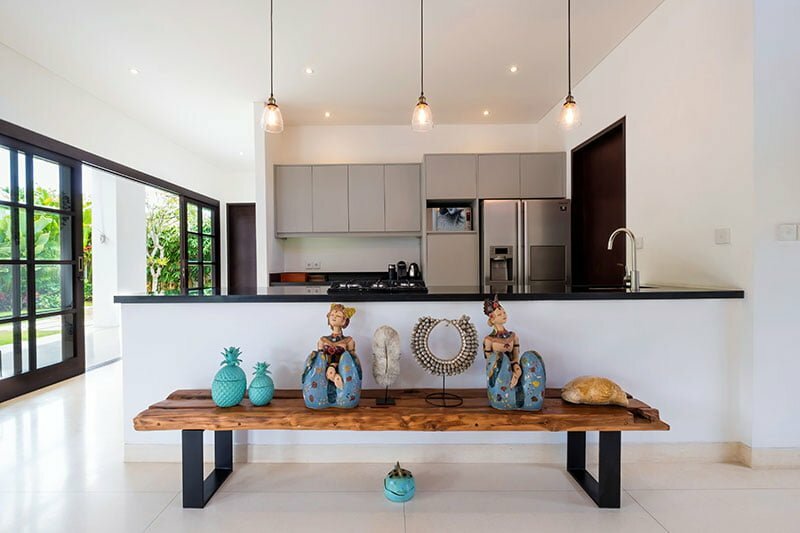 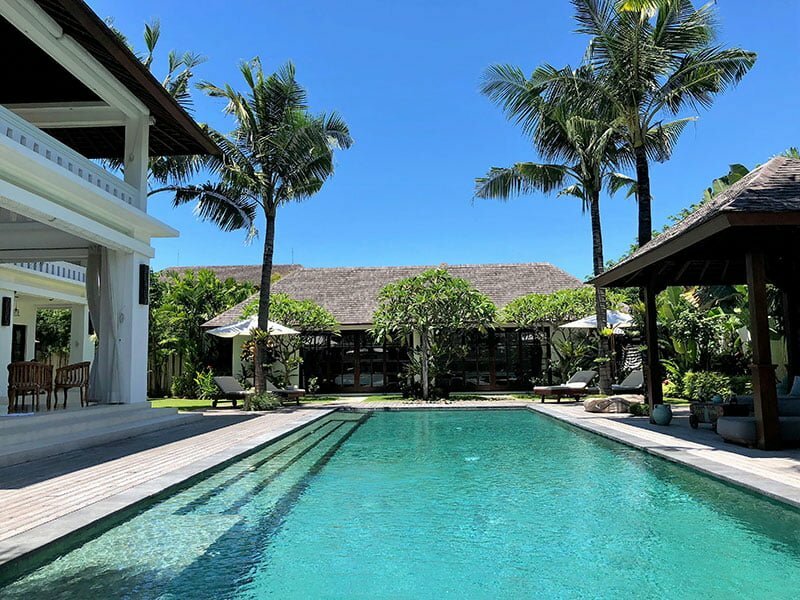 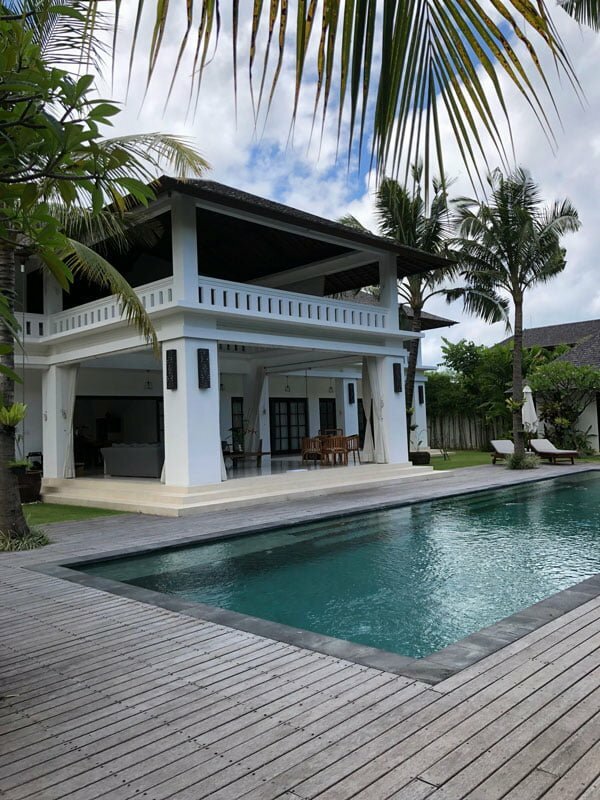 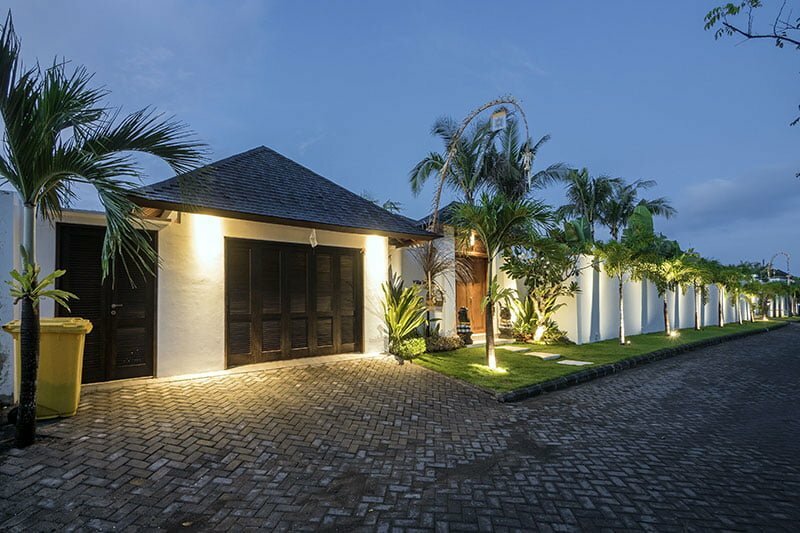 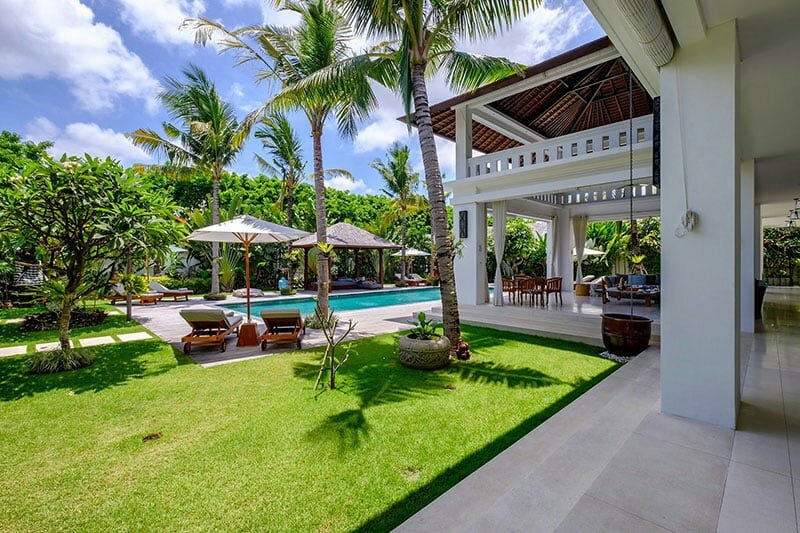 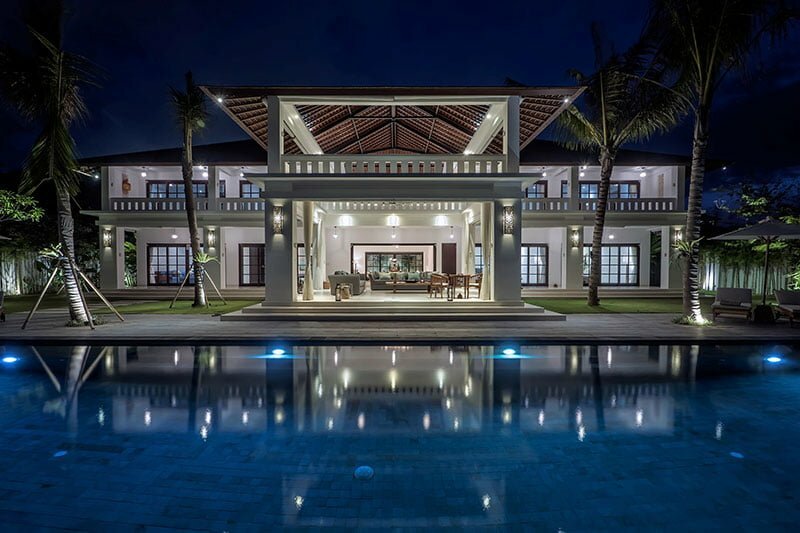 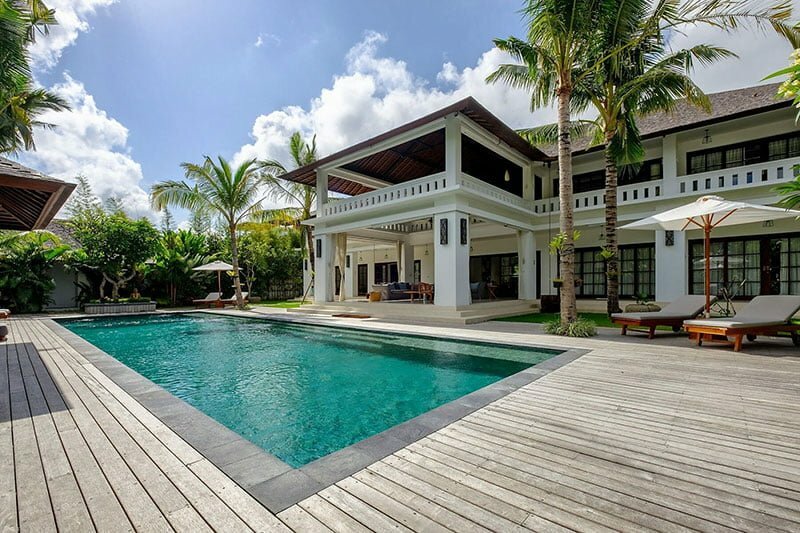 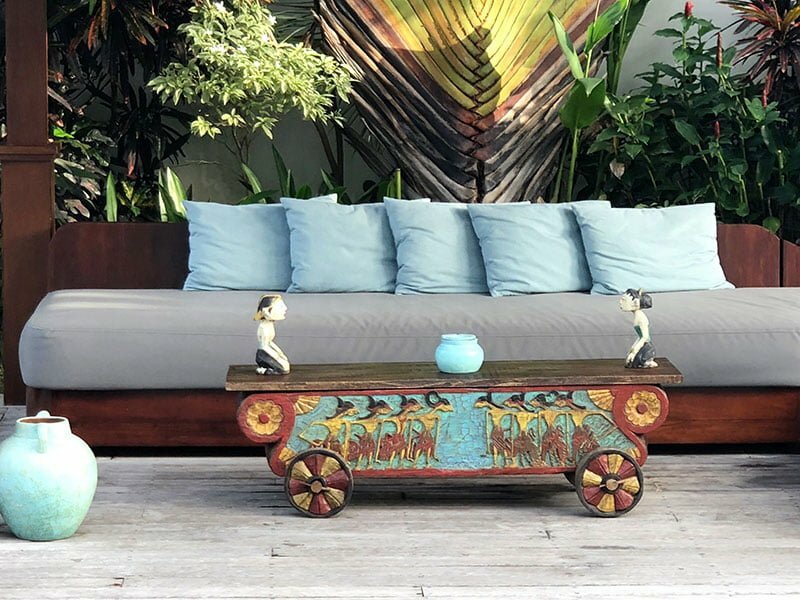 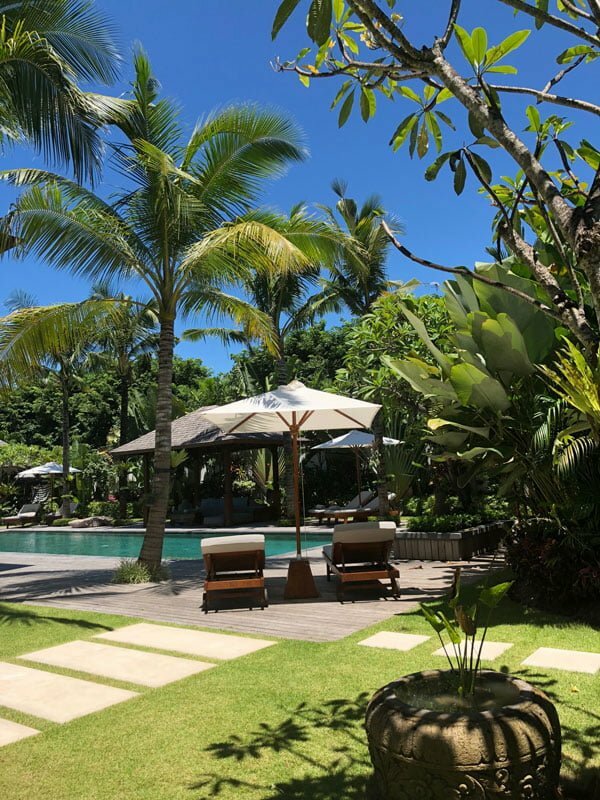 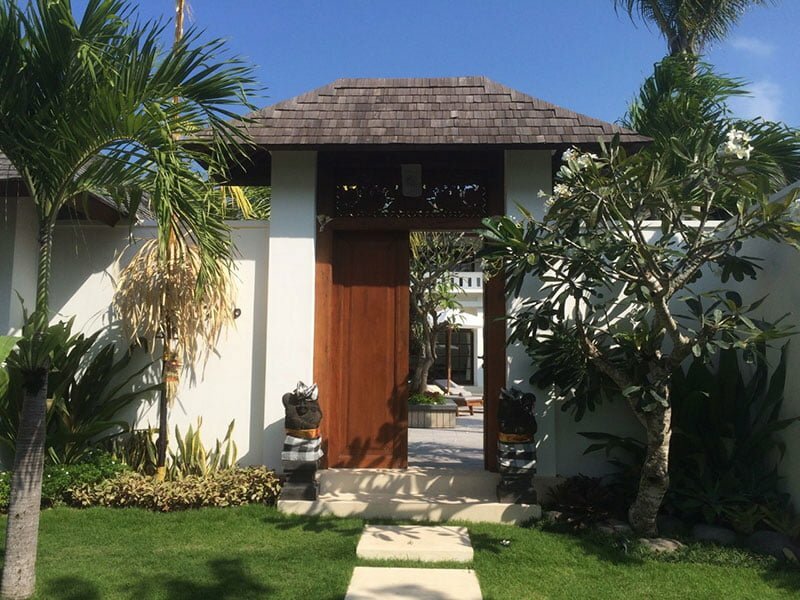 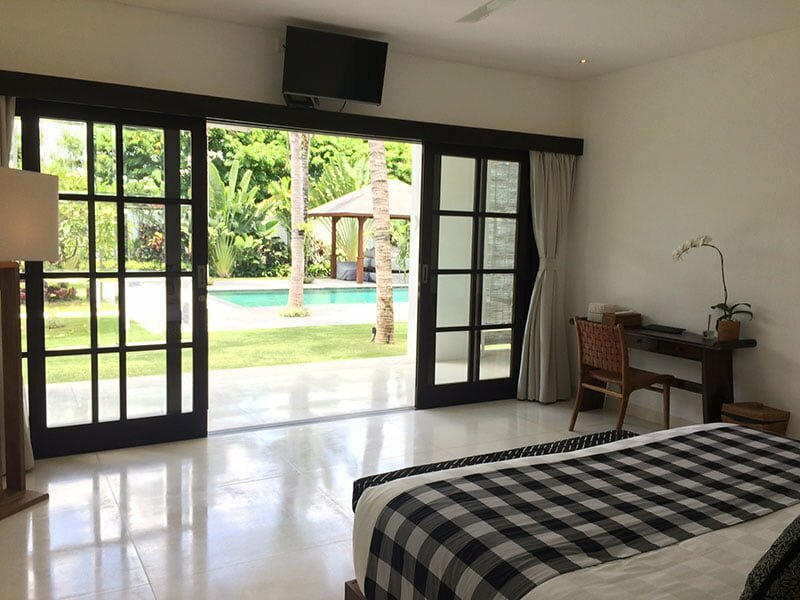 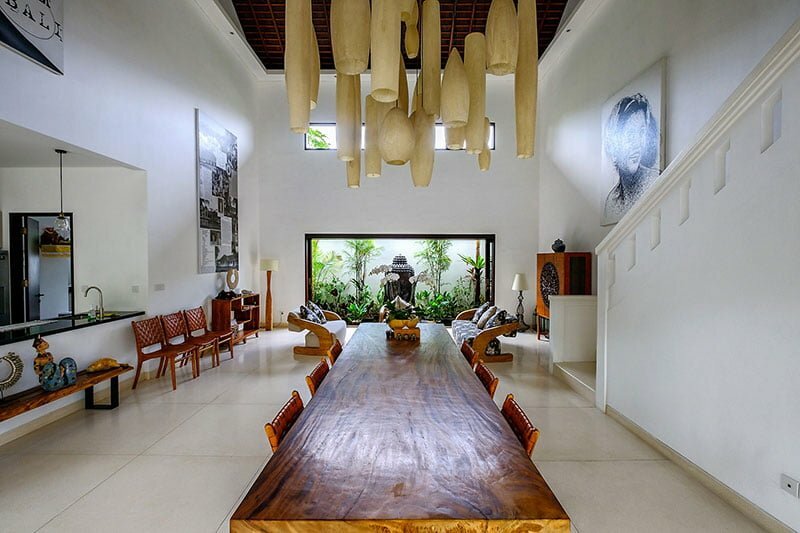 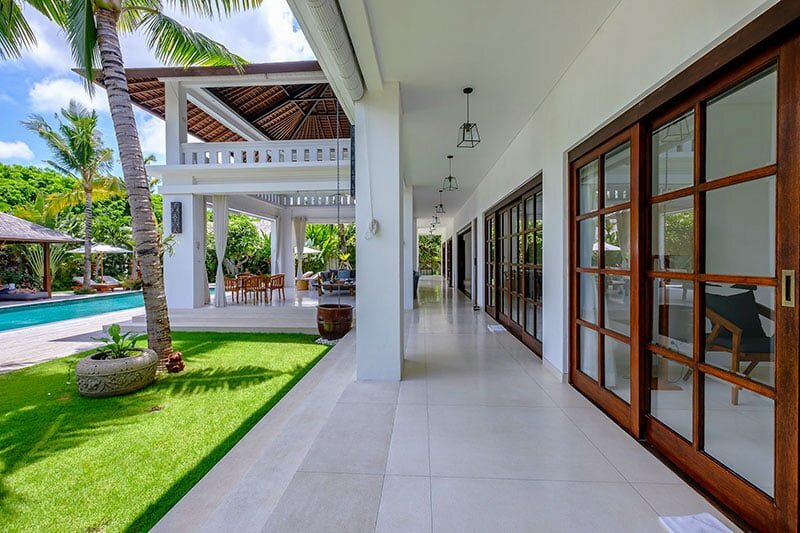 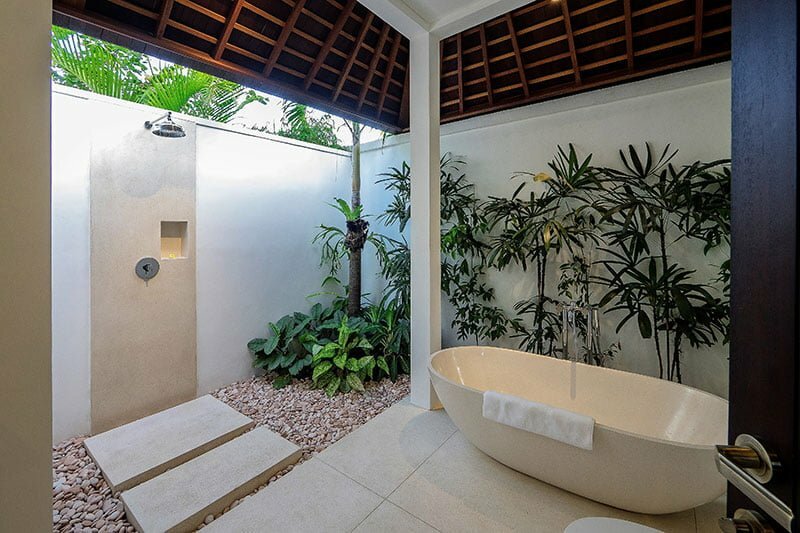 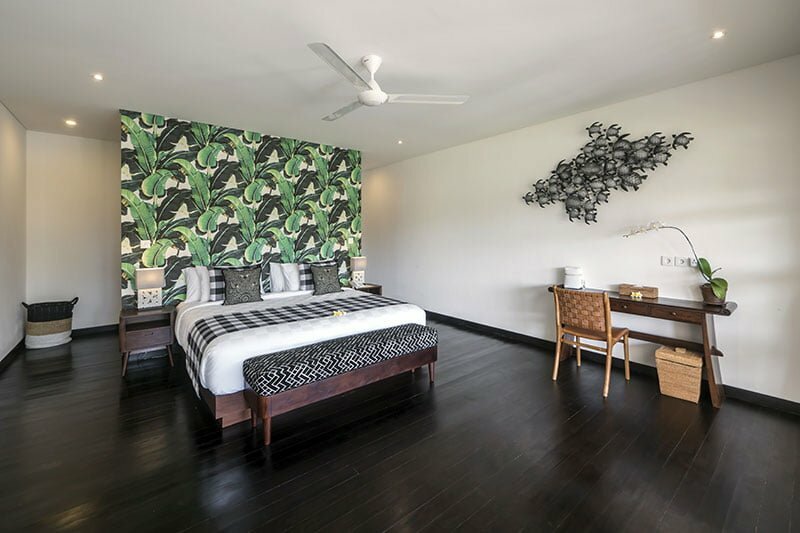 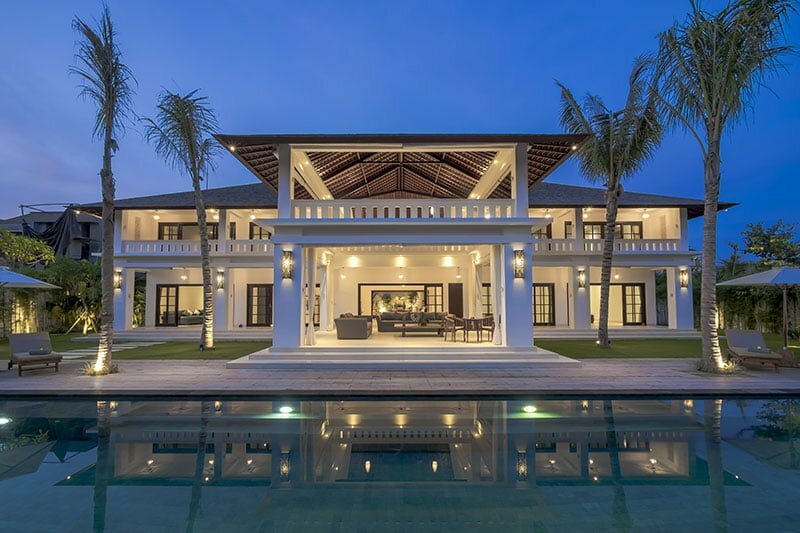 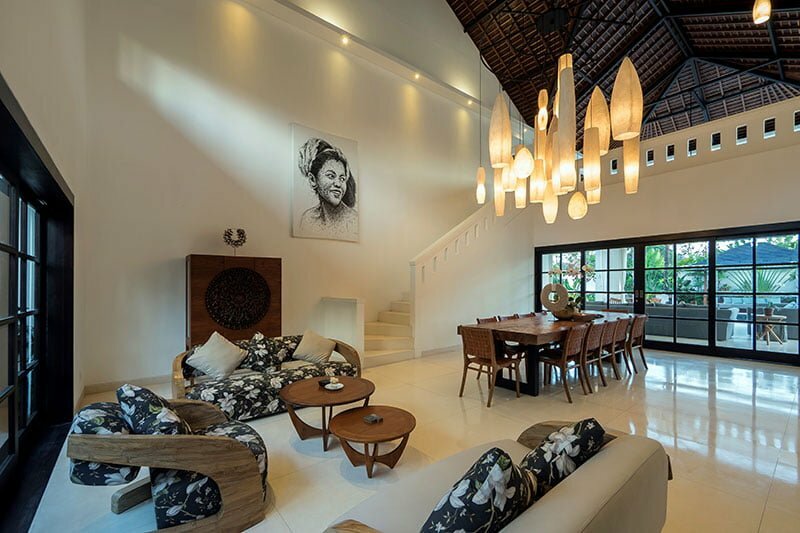 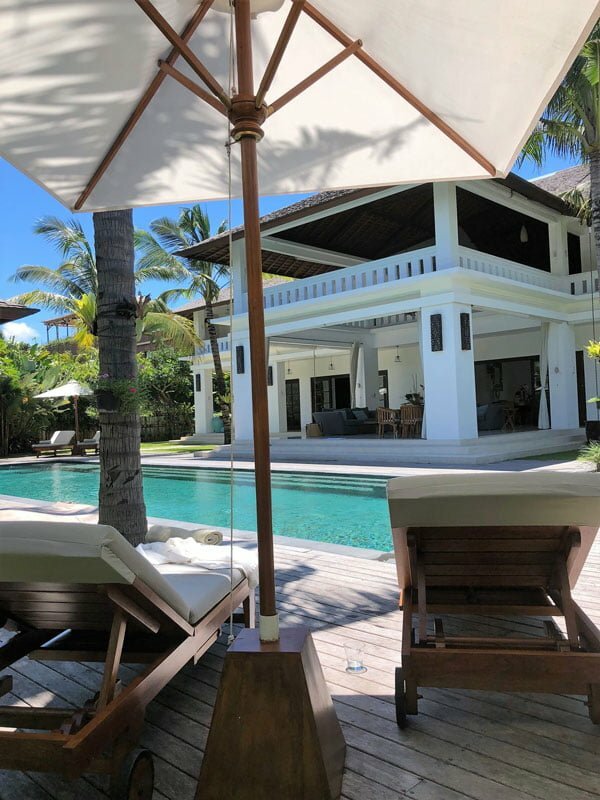 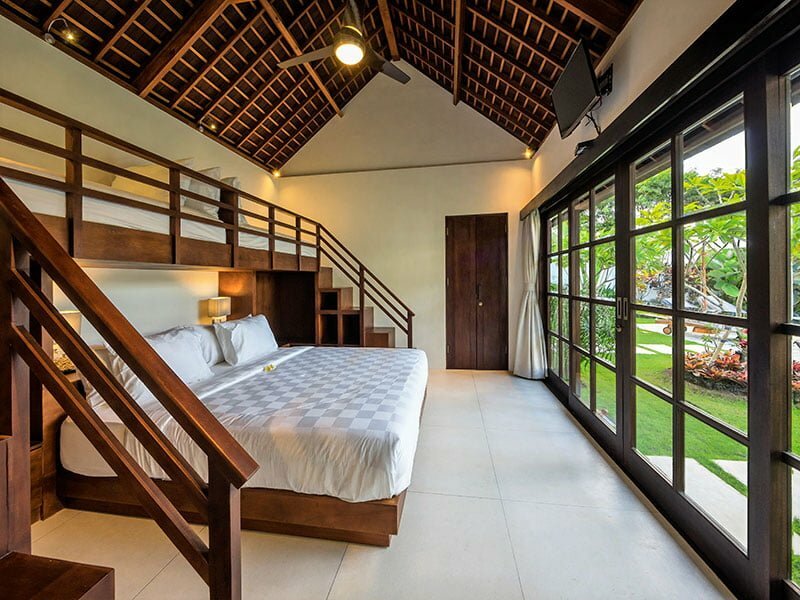 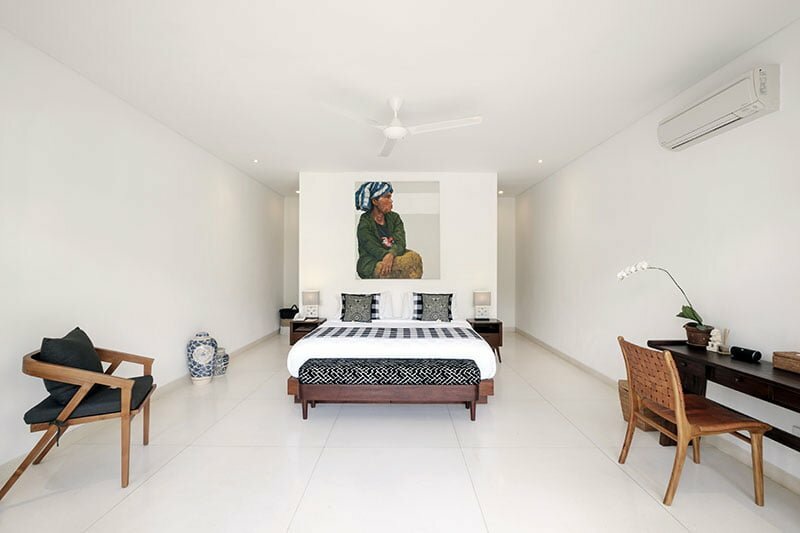 Fusing inspiration from an old Singapore Black and White House and a plantation house on Java, Villa Tjitrap offer you a luxury holiday residence in the heart of the popular tourist region of Seminyak. 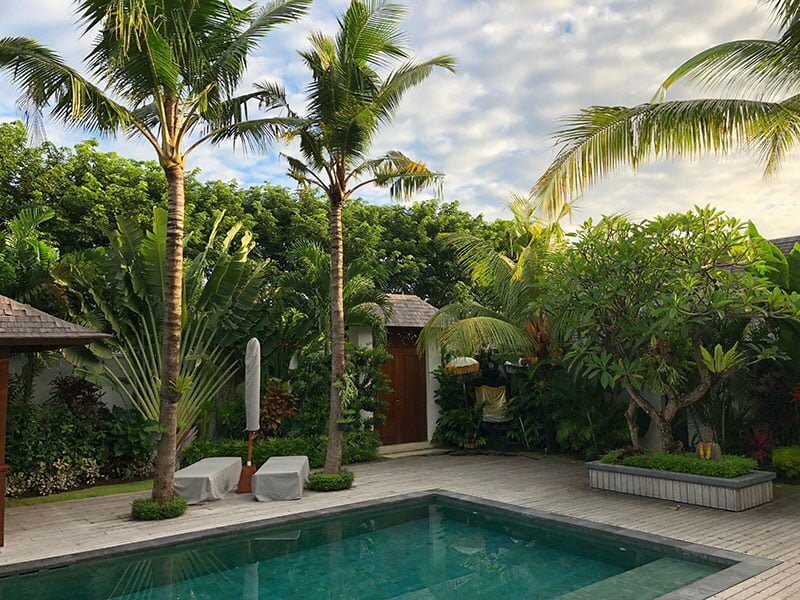 Combine a stay in this wonderful property with a location that means you’re within walking distance of the beach, shops, restaurants and other tourist amenities on offer and you have all the ingredients for a perfect tropical holiday. 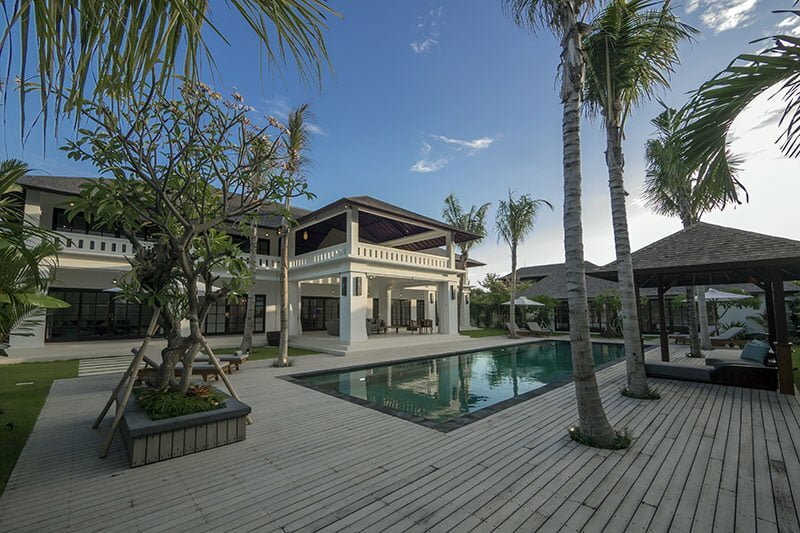 The main villa building is split over two levels. 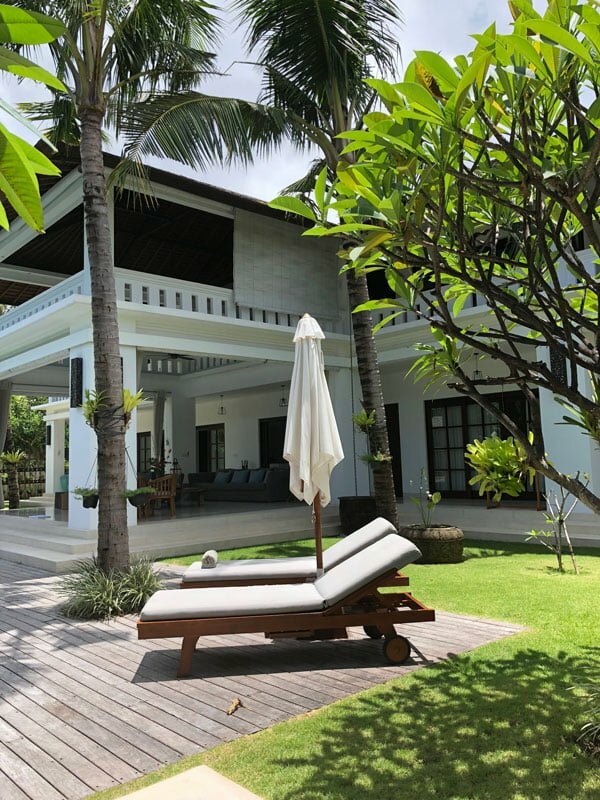 On the upper floor there’s a seating area and two of the villas bedrooms, both with en suite bathrooms, large double beds and separate seating areas. 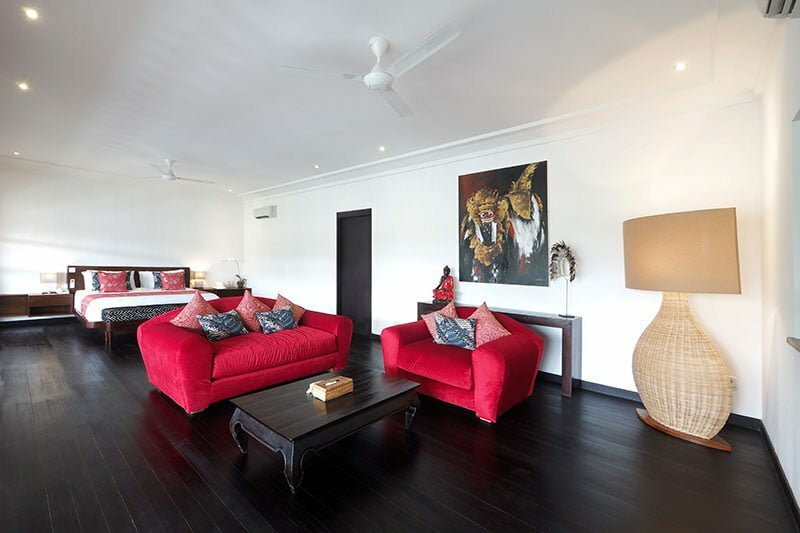 There’s also a separate lounge area. 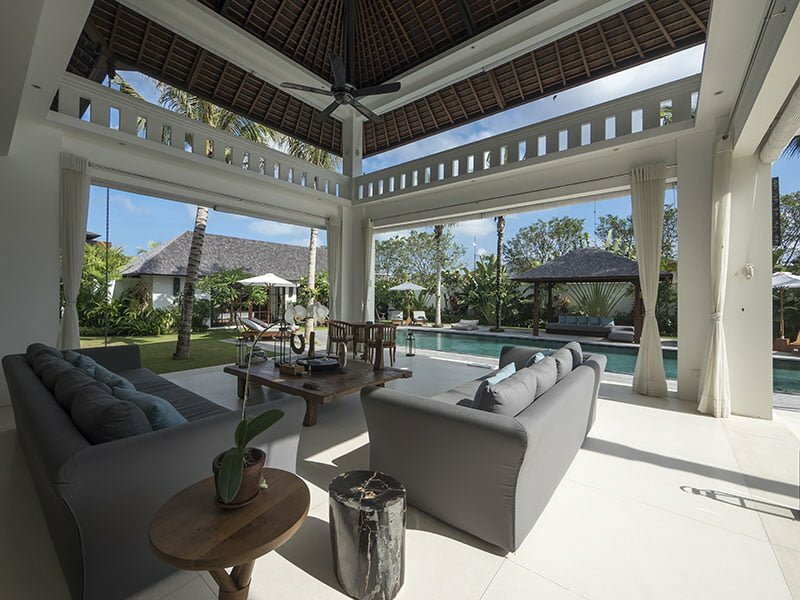 On the ground floor there are two further bedrooms and a number of lounge areas, as well as the villa’s formal dining area and kitchen. 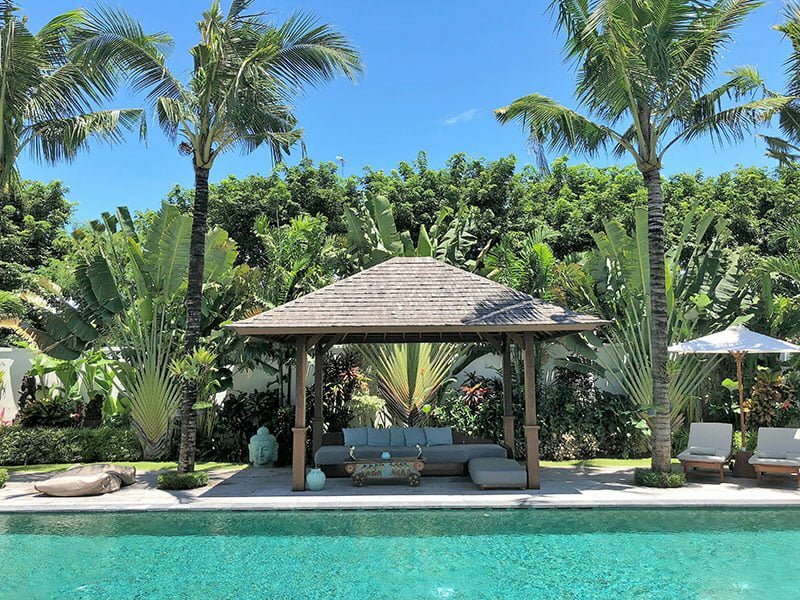 In the well kept grounds there’s a large private pool and sun deck and the remaining bedrooms are in a building adjacent to the pool area. 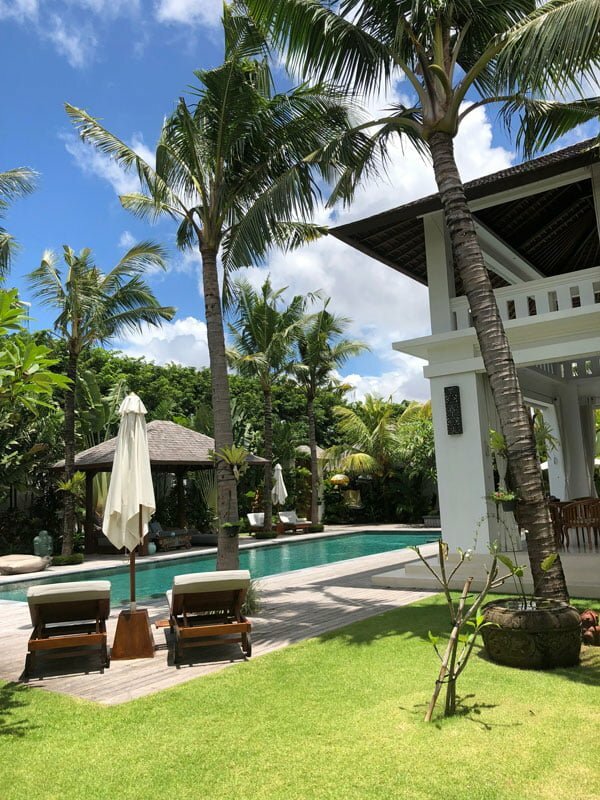 Be looked after during your stay by the villa’s team of professional staff who include a villa manage, chef, butler, grounds and house keeping staff and security. 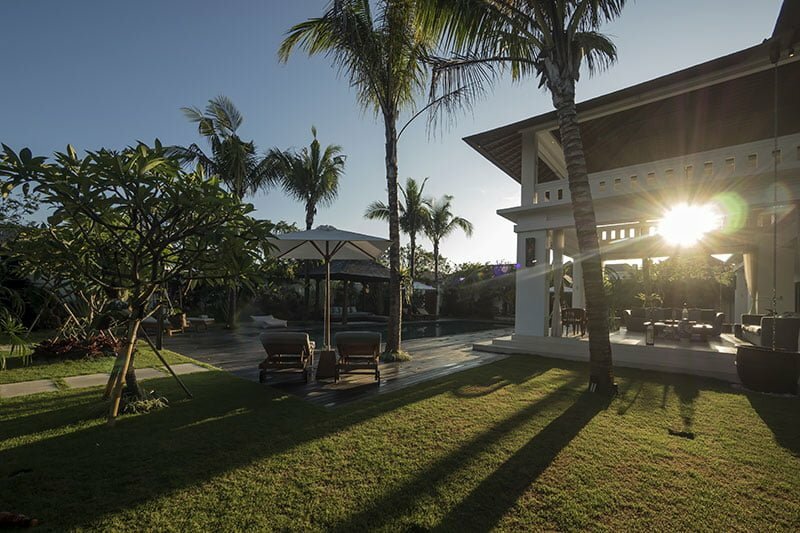 WiFi is available throughout the property and daily breakfast is included. 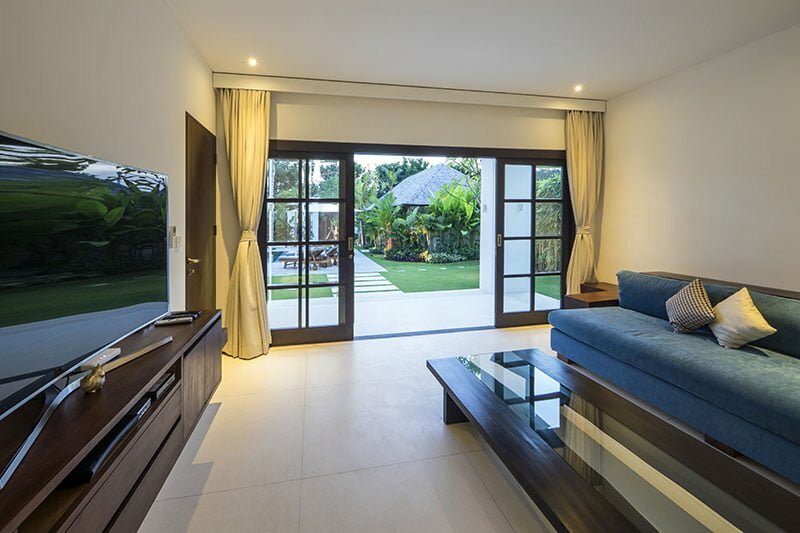 Distances: 15min to shops, bars and restaurants etc. 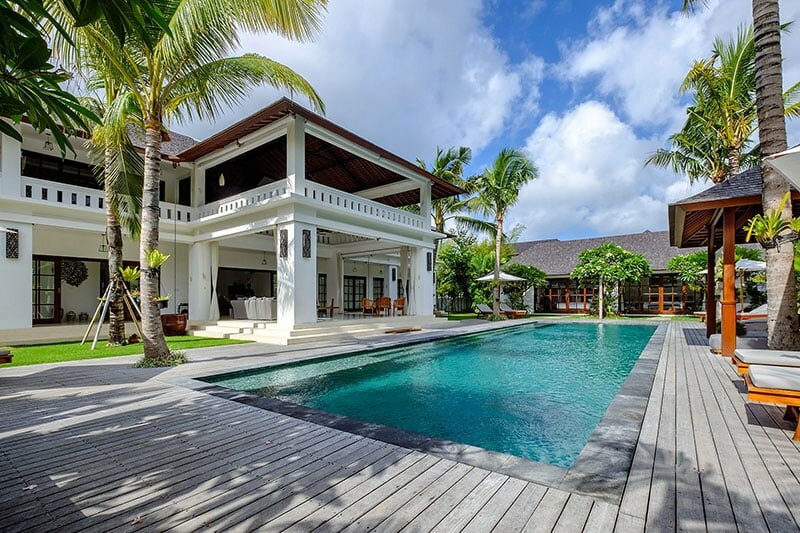 5min to the beach. 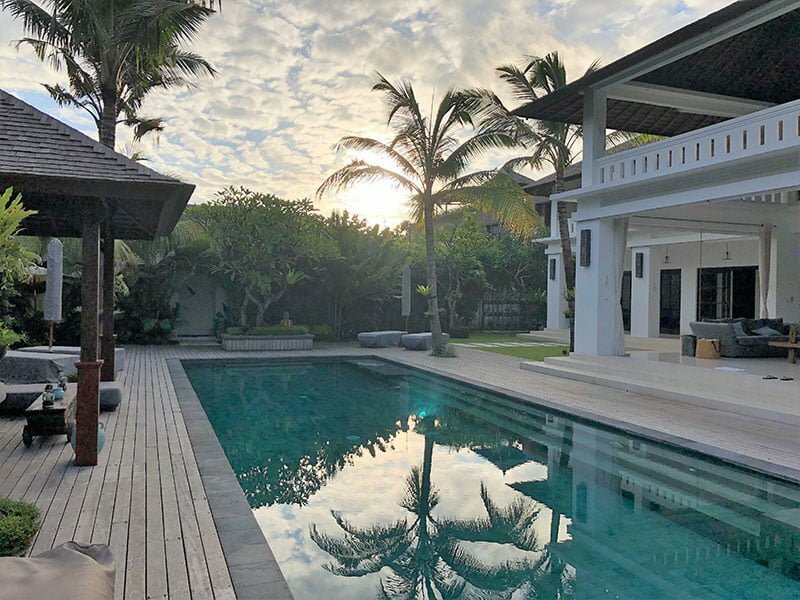 25min drive to the airport. 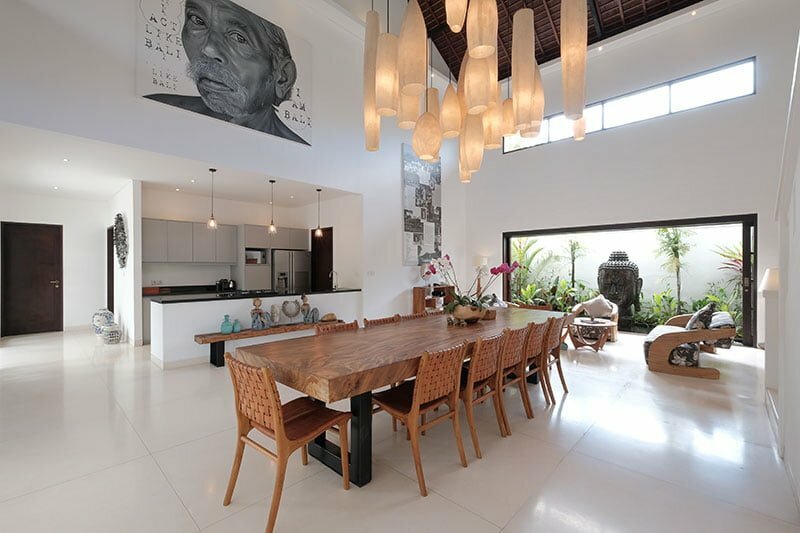 Inclusions: Daily breakfast. 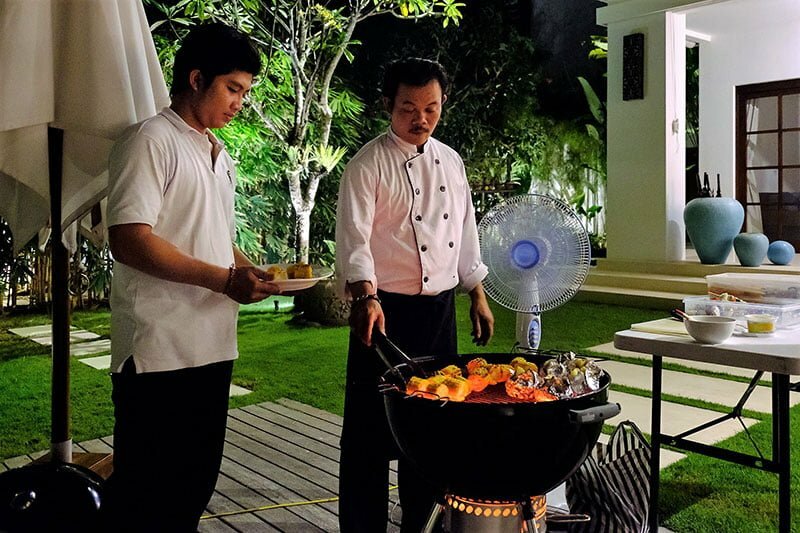 Butler service from 7am-10pm.